Kim Sung ri held a fan showcase "First, Love, Spring" on April 15. Singer Kim Seong ri will meets fans close by. 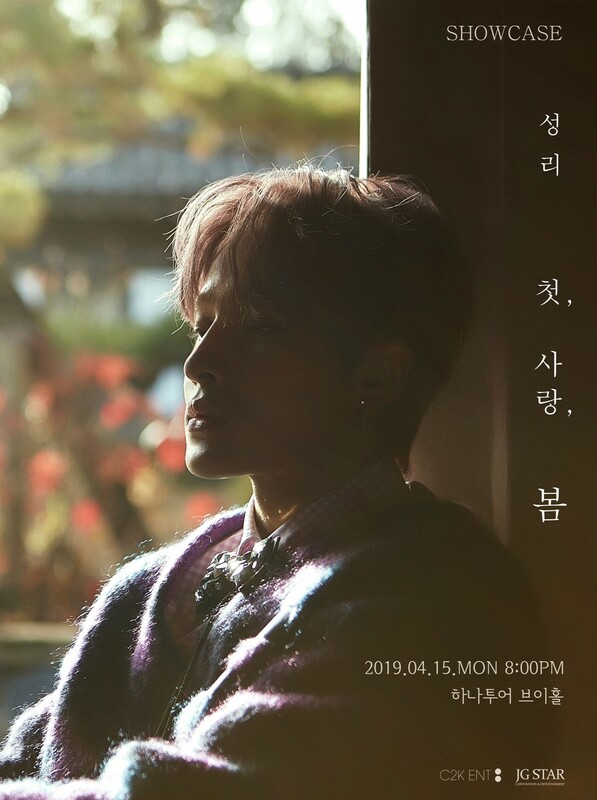 "First, Love, Spring," a fan showcase to mark the release of Kim Seong ri's first mini album, will be held at Hana Tour's V Hall at 8 p.m. on April 15. Through the fan showcase, Kim Seong ri will make joyful memories with fans who visited the scene with emotional music. Especially, Kim Seong ri's new stage, including the title track "That's You" and the track in the mini-album "First, Love," as well as the drama OST stage, which was loved for its unusual singing ability. Kim Seong ri turned as solo artist, and he is loved as "emotional," singing and emotion, and is even signaling a more mature feeling and delivery of various love stories with the album. Tickets for Kim Seong ri's fan showcase will open at 8 p.m. on May 5 through Hana Ticket.